Lustre, having been first used on glazed pottery in ninth century Iraq (no. 3 [EA1956.66]) became very popular in the tenth - twelfth centuries in Fatimid Egypt, and then reached new heights in late Saljuq Iran round about 1200 AD, just before the Mongol invasions. Lustring seems to have been a secret process, confined to a small number of families, which could only become known in some new cultural setting when the craftsmen themselves moved and took the secrets with them. The centre of the Persian industry became Kashan, and the most famous of the craftsmen were the Abu Tahir family, at least three generations of which are known to have produced tilework, and presumably pottery, over a period ranging from 1206-1327. This bowl is unsigned, but is dated to the Islamic (Hegira) date 608, equivalent to 1211-12 AD. 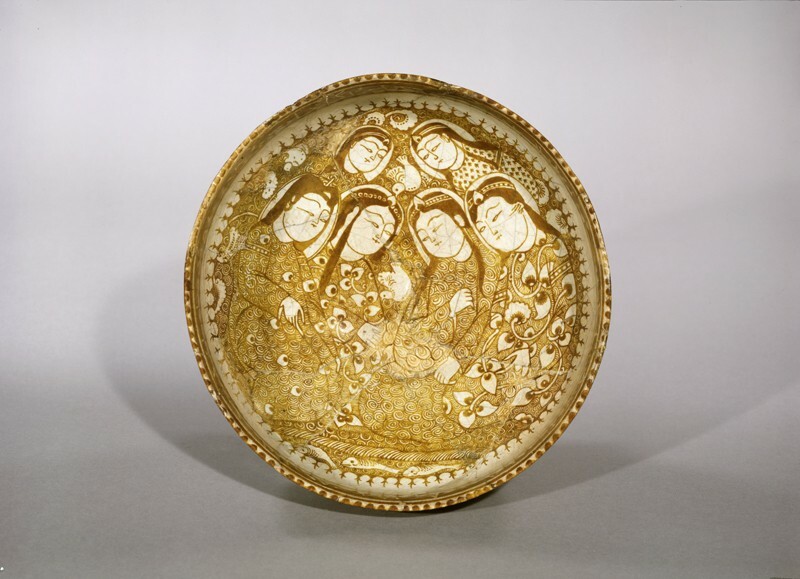 In style the bowl is typical of the period from 1199-1226: the heads and hands of the figures are in reserve, but their costume is densely covered, as is the background, with tightly wound spirals. Who the six figures contemplating the stream or fish-pond are, we shall probably never know, but we can immediately recognise the skill of the artist in the way he has fitted them so elegantly into the circular, curving surface of the vessel. We should also notice the figures’ moon-faces, introduced from Buddhist art by the Saljuqs, through which the artist irradiates the design with an extraordinary peace and serenity. 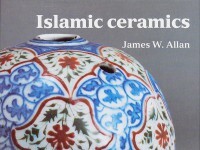 Among the most significant contributions from Muslim craftsmen to world ceramics, lustre was not only an expensive technique, but a difficult one to master. Metal-based pigments and other substances were diluted and carefully applied to pre-glazed pots. These were then fired in special kilns with a ‘reduced’ atmosphere in which carbon monoxide triggered a chemical reaction that permanently fixed the metallic oxides onto the object’s surface, giving it its characteristic sheen. First used on pottery in ninth-century Iraq, the technique reached Egypt in the 10th century, and then travelled back to Syria and Iran in the 12th century. This splendid bowl is dated to the year 608 in the Islamic calendar, corresponding to 1211-1212 AD. It can be associated with the city of Kashan in Iran, which emerged as the most prominent centre of lustre production between the late 12th and early 14th century. Although unsigned, its accomplished design and technical execution place the piece within the circle of Abu Zaid. 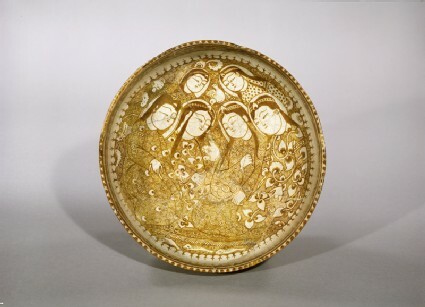 Abu Zaid was one of the most prominent potters of the time, and a driving force behind the technical and stylistic achievements of 13th century Iranian lustreware.